Catherine Walker as Sophia, a grieving mother looking for revenge, and Steve Oram as Joseph, the occultist who she turns to for help. 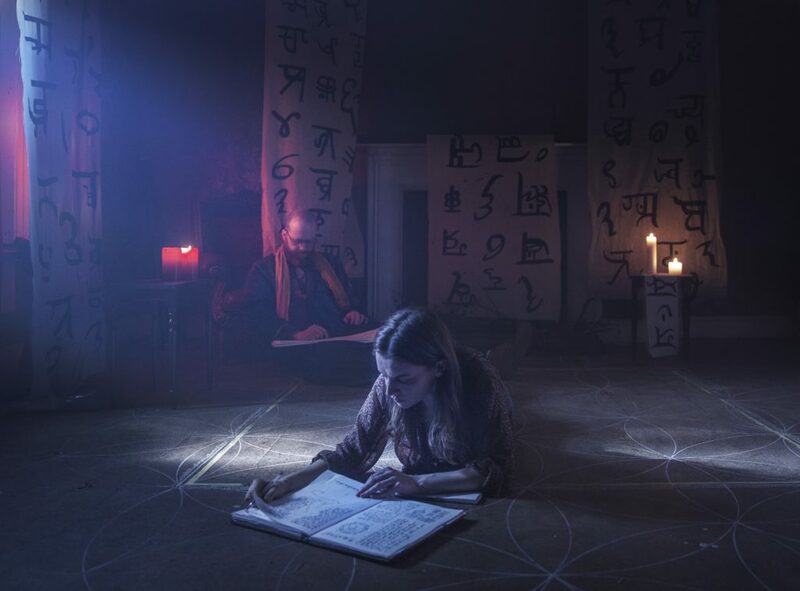 A Dark Song premiered at Fantastic Fest in Austin, Texas, on Friday 23 Sept where it was warmly received by countless film critics and horror fans. The ADS team was delighted to read and share all the positive reviews the passion project deservingly received. Many praised Catherine Walker and Steve Oram’s stellar performances as Sophia and Joseph in a horror film that hinged primarily on raw human emotion as opposed to the standard jump-scares of the genre. Other reviewers highlighted how skillfully writer/director Liam Gavin managed to keep tensions and interest high throughout his brilliantly detailed and atmospheric debut film. Those of us at Samson Films would like to thank everyone who contributed to promoting A Dark Song whether that be through social media, personal blogs, or critic review sites. Check out some of our favorite Fantastic Fest reviews below, and please help us continue to support the film on our Twitter and Facebook pages!